Professional anglers have a way of complicating fishing. We create and name nuances so we can verbalize them, split hairs for the sake of defining minute details, and otherwise find ways to spew “pro talk” so that we can justify our jobs. And to be honest, most of that stuff will in fact make us better catchers if for no other reason than we participate more; we spend more time on the water than most folks. But it doesn’t have to be that way. What if I said you can catch basically any fish in fresh water - plus fish ponds, lakes, rivers and streams - with only one rig and a few variances thereof? Would you believe me? Given the number of people that send me some version of that very question every year, I bet you’d at least entertain the idea. There is such a rig and it ain’t fancy. In fact, I almost guarantee that you already have it on hand. Furthermore, you probably learned to fish with it. And the funniest part is that we professionals rarely use it. What’s the miracle rig called, you ask? The ol’ hook, line and sinker. A bass derby pro might call it a split shot rig, Powerbaiters live by it, and northern walleye guys use it to drown leeches, eh. Regardless, it’s simply an appropriately sized hook (most often meaning a small one), a small pinch-on weight, light line, and a forgiving rod. Since I am, after all, a professional angler and feel the need to demonstrate my worth, I’m going to complicate it, define some nuances and split hairs. The versatility is derived from the infinite number of baits that can be skewered onto the hook. Since I live in the Mountain West where trout rule and Powerbait is sold at the rate of 5,000 jars a day - literally - it’s the most obvious choice. Want to split hairs? Fine, it could be Powerbait free form dough, eggs, or a wide variety of small shapes. Furthermore, you could choose Gulp!, also in a huge range of smallish shapes and sizes and sold in those prolific little jars. And at this point, I’m only referencing bait dunking for trout; just wait until I get into Powerbait, MaxScent and/or Gulp! soft plastics; but let’s not skip ahead. If you’re more of a naturalist angler, you cold impale a night crawler or grasshopper or cricket procured from your lawn, or even a maggot or piece of corn. If you’re feeling spunky, get a few fathead minnows or similar smallish baitfish. Feeling very Euro these days? Try some “boilies” made of oats, honey, hot sauce, molasses and other stuff most folks use for breakfast rather than carp fishing. If you like catfish, you could choose mussels, shrimp, chicken livers, belly strips, or dang near anything else that will pique their acute sense of smell. Perhaps you prefer the more evolved species like bass or walleyes. Easy peazy. Walk to to the fishing department of your local Sportsman’s Warehouse and gaze upon that huge wall of soft plastics; they’ll work on a this rig, too. And I’m not kidding. The biggest thing to keep in mind through all these baits and soft lures is the hook you choose. And besides considering the bait itself, keep the fish - more specifically the fish’s mouth design and feeding habit - in mind as well. Size matters; choose hooks that don’t overwhelm your bait’s action or too big for the fish’s mouth such that bluegill baits need tiny hooks and leeches swim better with little hooks, while circle hooks might be great for catfish and a straight shank worm hook is a solid choice for bass. A tiny treble is a great choice for dough baits. In almost all cases, use only the amount of split shot weight needed to get your bait to the bottom to keep some control. A small bow in the line while the bait is on the bottom is usually the best indicator. If you need more weight, a couple of small split shots spaced apart slightly are a better choice than a single larger one. Consider several tiny shot in freestone streams; it will significantly reduce snagging as the bait drifts in the current. And don’t over crimp; just tight enough to keep the split shot in place during a cast is best. If you want better sensitivity or more control of the bait (as is typical with soft plastics), consider placing the shot close to the hook, in some cases, only an inch or two above it. In this way, you have almost jig-like feel and control. Want a carp, catfish, or trout to have time to ingest your bait? Then place the the shot a foot or more above the hook. 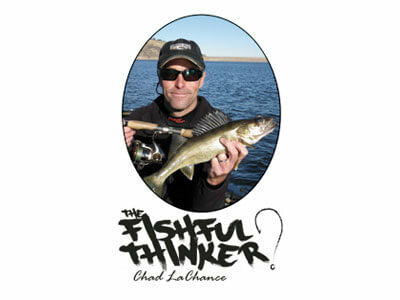 Use line only heavy enough to handle the fish you hope to catch; 4-8 pound Trilene XL or 6 pound NanoFil are my choices. I do all my split shot work with a 6’9” medium light power, fast action St Croix Avid spinning rod. The rod is sensitive enough to work light weights and powerful enough to handle respectable size fish. I top it with an Abu Garcia EliteMax with the drag set very light. See, I fully complicated the most simple rig there is. At least I narrowed it down to one rod and reel.